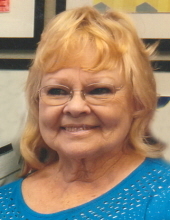 Age 74 of Bancroft passed away Sunday, March 17, 2019 at McLaren Flint. Funeral Services will be held 11am Friday March 22, 2019 with Pastor Coleen Wilsdon officiating. The family will receive friends at Nelson-House Funeral Home on Thursday March 21 from 2pm to 8pm. Sharon was born August 19, 1944 in Flint, the daughter Charles and Ella (Becker) Blanchard. She graduated from Flushing High School; Class of 1962. Sharon was a member of the Bancroft United Methodist Church for 52 years where she was part of the Women's Club and the choir. She loved to go fishing and hunting, especially out west and in 1960 she was known as the "Queen of Flushing." Sharon was a lifetime farmer, she raised pigs and enjoyed gardening. She was an avid writer, loved to tell stories and loved MSU sports. Sharon co-owned Country Catering and always enjoyed visiting other people at the Durand Convalescent Center and the Serenity House. She was a part of the Byron Sports Boosters and also the Antrim Election Board. She married Larry Bower in Flint on November 23, 1963 and over the years, no one could dance like Larry and Sharon. Sharon is survived by her husband Larry of 55 years; her children Dean (Diane) Bower, Jeffery (Laura) Bower, Kelli (Paul) Brant and Kirk Malak; grandchildren James Bower (Kevin Walicki), Eddie Bower (Shaina Cantu) and Rebecca Bower, Jacub and Josey Hallock, Cassandra (Matt Palko), Lyn-Z, Darrin Jr. and Jessica Cameron; two great-grandchildren Aubrey Cameron and Vera Grace Palko; sisters Eva Rhodes and Charlotte Davis; brothers Richard Jeffery and Dwayne Sandy; several nieces and nephews and many other loving family and friends. To send flowers or a remembrance gift to the family of Sharon Grace Bower, please visit our Tribute Store. "Email Address" would like to share the life celebration of Sharon Grace Bower. Click on the "link" to go to share a favorite memory or leave a condolence message for the family.